Only forty-five minutes from the Abbotsford International and Vancouver International airports, and approximately thirty minutes from Vancouver’s downtown district, you will find the “City of the Arts,” Port Moody. Port Moody is a scenic community that combines big city amenities with a tranquil waterfront setting. Among the fastest growing cities in British Columbia, Port Moody is home to several diverse facilities, arts groups and numerous annual festivals. Additionally, the town is known to be a place of stunning natural beauty, diverse wildlife, quiet elegance and a multitude of remarkable real estate options. Furthermore, Port Moody affords its residents easy access to several picturesque parks, including four off-leash dog parks. The community also boasts a plethora of hiking and cycling trails, including a portion of the Trans-Canada Trail, as well as the Alfred Howe Greenway. As a family-friendly community, Port Moody also has excellent schools operated by School District 43. 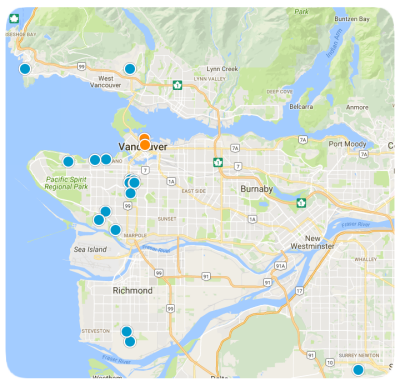 Like all of the Metro Vancouver area, this city has impressive public transportation options that include a multitude of bus routes. These fabulous features and amenities are some of the many reasons this area has been growing steadily and is expected to experience continued growth and development in the years to come. Homebuyers and investors searching for available real estate in Port Moody, should definitely consider the homes available in the Heritage Mountain neighbourhood. Heritage Mountain is the ideal getaway, whether seeking a vacation home or a permanent residence. In addition to the peace and quiet, Heritage Mountain affords its residents breathtaking views, crisp mountain air, gorgeous tree-lines streets and quick and convenient access to all the city’s amenities. Additionally, a picturesque park and scenic mountain trails are found in the neighbourhood. Heritage Mountain homes come is a variety of architectural styles, ages and sizes with a wide range of special features. Home prices also vary, making this a perfect destination for young professionals, retirees and everyone in between. If you would like to learn more about the homes for sale in the Heritage Mountain neighborhood of Port Moody, please contact us today for assistance.